Nothing says it quite like a Diamond… and no one knows Diamonds like Wallace Bishop. 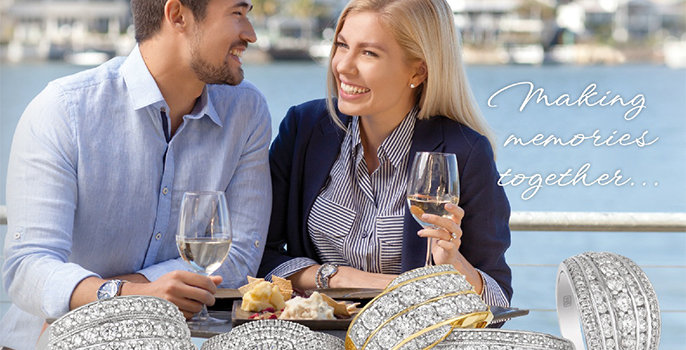 Established in 1917 and with four generations in the industry, Wallace Bishop is proudly a family-owned Australian company specialising in diamond engagement rings, diamond and gemset jewellery, gold, silver and fashion jewellery, quality watches such as Seiko, Citizen, Casio, Guess, home to Loyal watches and Swiss timepieces, giftware and more. Dedicated to quality and value and with an extensive selection available, one of Wallace Bishop's Diamond specialists is ready to help you select the perfect piece to celebrate a special moment.